CW Energy is pleased to announce that it has become part of legal and professional services group Gordon Dadds Group plc, a fast growing legal and professional services business headquartered in London with a significant back office and technology platform based in Cardiff. Joining the Group will give our clients access to a wider range of legal and professional services as well as enhancing the long term sustainability of the firm. The proposals for the changes to the loss rules were published on 20 March. The draft legislation runs to over 100 pages. These new rules are intended to increase flexibility in the use of losses whilst introducing restrictions to prevent the relief from brought forward losses/deficits from exceeding 50% of the profits of a period. These rules will also apply to the use of ring fence losses against non-ring fence profits (subject to some carve outs to prevent claims by companies against the government under Decommissioning Relief Deeds in respect of decommissioning losses). As expected the rules for the use of ring fence losses against ring fenced profits are to be broadly maintained, with no 50% restriction on the use of losses against profits and no additional flexibility to set off ring fence trading losses on a non current basis against non-trading ring fence profits or as group relief. It appears that a number of the new restrictions will impact the ring fence. We do not know whether this is intended or not and will be making representations on these aspects. The draft legislation extends the period in which a major change in the nature or conduct of the trade following a change of ownership that occurs on or after 1/4/17 could trigger the disallowance of losses from a 3 year to a 5 year period that includes the change in ownership and which begins at the earliest 3 years prior to that change. It seems that ring fence losses in general including decommissioning losses are within the scope of this change as currently drafted, although we have received an indication that decommissioning losses are intended to be outside the scope (presumably as companies would have a claim under a Deed). 2. Further; the transfer of trade rules do not appear to allow post 1/4/2017 ring fence losses to be transferred to the successor. 3. Finally it appears that the pool of losses for RFES will only include pre 1/4/2017 losses. We are hoping that all of these anomalies are simply drafting errors that will be corrected before the bill is passed into law. We continue to review the effect of the new rules and shall be discussing these items with HMRC. We will keep you informed on the progress and passage of the legislation. Subject to the points mentioned above in most cases the new rules should not impact upstream groups except of course where they have significant non-ring fence profits. Such profits could arise from group service activities or as a result of interest and foreign exchange gains on lending arrangements. One area which groups need to consider very carefully is their exposure to significant non-ring fence exchange gains and losses. The 50% restriction rules could mean for example that tax is paid on a gain in a period even though overall no gain or loss arises on the particular item. It is even more important following these changes that groups try to manage the tax risk of exchange gains and losses. Groups with large non-ring fence losses carried forward who have never had to look too closely at the position could suddenly find themselves in a tax paying position if there was a large movement in exchange rates over a year. The Chancellor delivered the last ever Spring Budget today. There were very few specific oil and gas measures in the announcements. Those having an impact on the regime are set out below. The main new Budget announcement is that there is to be a further review of late life assets. A Treasury discussion document is to be issued on 20 March and it is anticipated that further consultation with interested parties will take place over the following months. An advisory panel of experts is to be set up which is to be tasked with reporting, by the time of the Autumn Budget their conclusions on any measures that they believe need to be taken at in the future to break down perceived barriers to transfers of assets in the UKCS. This is following on from the work Treasury has done canvassing views on what was needed to be done regarding late life assets to ensure MER, in which many readers will have participated. There will be many different views on what will best help achieve MER, but one of the key points that it is understood will be debated is the transfer of CT capacity on asset sales, to assist new players to acquire assets without sellers having to retain decommissioning obligations. Although HMRC confirmed at the time of last year’s Budget that from a CT point of view it is not necessary to stay on a licence for relief for abandonment to be available, and it is clear that a number of transactions have been carried out which intend to take advantage of this, the ability to transfer capacity would provide additional commercial options. It is understood that there is no specific timetable for introducing any changes as a result of the review, and that this will depend in part on the responses received, but any measures which will facilitate the transfer of assets are to be welcomed. In addition to the CT issues it is hoped that the current restrictive rules for PRT relief will also be addressed. The long awaited Statutory Instrument (SI) extending the investment and cluster (but not the onshore) allowance regimes to cover certain operating and leasing costs has finally been laid before Parliament today. The SI is understood to be broadly the same as the draft last seen by Industry over a year ago, and does provide for the changes to be backdated to 8 October 2015 as had previously been understood. The SI does not deal with tariffing income. The introduction of these rules is to be welcomed and companies that have incurred relevant costs in 2015 will need to file revised returns if they have not already assumed the relief in filing their 2015 returns. It is understood that Treasury are still committed to extending the categories of income that can activate the scope of the allowance to cover tariffing and that they are publish a draft SI in the near future, which should contain a provision for any new rules to be backdated to the 8 October 2015 date. As previously announced, the Finance Bill will contain provisions amending the PRT opt out rules such that fields no longer have to satisfy the requirement that they are not expected to have taxable profits. The provision will apply to chargeable periods beginning on or after 1 January 2017 but only if an opt out election has been made by the responsible person before the start of the chargeable period. The legislation will reply retrospectively such that provided an election was made before January 1 2017 the opt out can apply for CP 1 2017. These rules are being introduced in conjunction with the reduction in the reporting requirements for those fields remaining within the regime that were previously introduced (and did not require legislative change). Going forward it is likely that only fields where the partners agree that there is no possibility of any future PRT repayments or the creation of a UFL will opt out. Others will continue to file returns and the simplifications introduced are welcome. It has been announced that the RDEC rules are to be simplified. Whether this will be of much benefit to oil & gas companies remains to be seen. 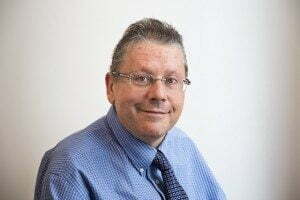 We are pleased to announce that Ian Hack, who joined CW Energy in 2012 after a long career with HMRC, has been made a Director of CW Energy LLP. This promotion recognises Ian’s increasingly strong contribution to the business since joining the firm. 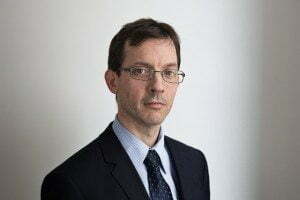 We are also pleased to announce that Janusz Cetnarowicz, who was a director and founder member of CW Energy Tax Consultants Ltd in 1990 has been appointed a partner of CW Energy LLP with effect from 1 January 2017. Finally we record that after over 26 years with CW Energy Stewart Norman has retired from the business. Stewart was a founder member and has been an integral part of CW Energy since inception and we wish Stewart and his family a long and happy retirement. With the changes announced today we believe that CW Energy continues to be in a strong position to offer clients the very best advice and support.